Taking a cue from some of its U.S. peers like Google, Chinese Internet search giant Baidu has decided to open source its deep learning platform. The company claims that the platform, code-named PaddlePaddle after PArallel Distributed Deep LEarning, will let developers focus on the high-level structure of their models without having to worry about the low-level details. A machine translation program written with PaddlePaddle, for example, requires significantly less code than on other popular deep learning platforms, said Baidu spokeswoman Calisa Cole. The PaddlePaddle platform has been used in-house by Baidu to develop products and technologies for search ranking, large-scale image classification, optical character recognition, machine translation and advertising, Baidu said. The company will release the software with documentation and specs to GitHub on Sept. 30, under an Apache open source license. A pre-release Alpha version is already available. Google announced in November last year the open source release of TensorFlow, its second-generation machine learning system. Microsoft has also released under an open source license a deep learning toolkit called Computational Network Toolkit (CNTK) that describes neural networks as a series of computational steps through a directed graph. Facebook has also released to the open source community some of its deep learning software. Open sourcing bring benefits to these companies as they can tap into a larger community of researchers, engineers and even hobbyists fixing the code and building on it. 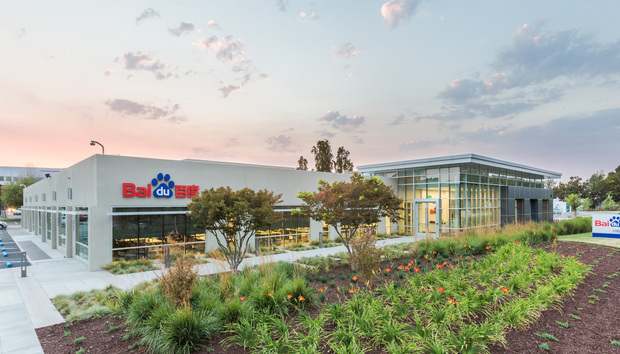 Baidu holds that its platform makes it easy for enthusiasts and programmers to take advantage of deep learning tools, and is not just designed for machine-learning researchers. "We believe PaddlePaddle is an important addition to the other deep learning tools out there because it's easier to get up and running,” Cole said. Baidu also sees an opportunity for a variety of deep learning platforms, targeting different kinds of people. “There are so many areas that are being touched by deep learning, and it makes sense that different tools will be right for different types of people," Cole said. She cited healthcare and transportation as two of the many industries that could benefit from artificial intelligence. The platform supports widely-used neural network architectures, such as convolutional neural networks and recurrent neural networks, and can scale to a large numbers of GPUs or CPUs on multiple machines. To take advantage of the power of heterogeneous computing, optimization occurs at different levels of the platform including computing, memory, architecture and communication, Baidu said.